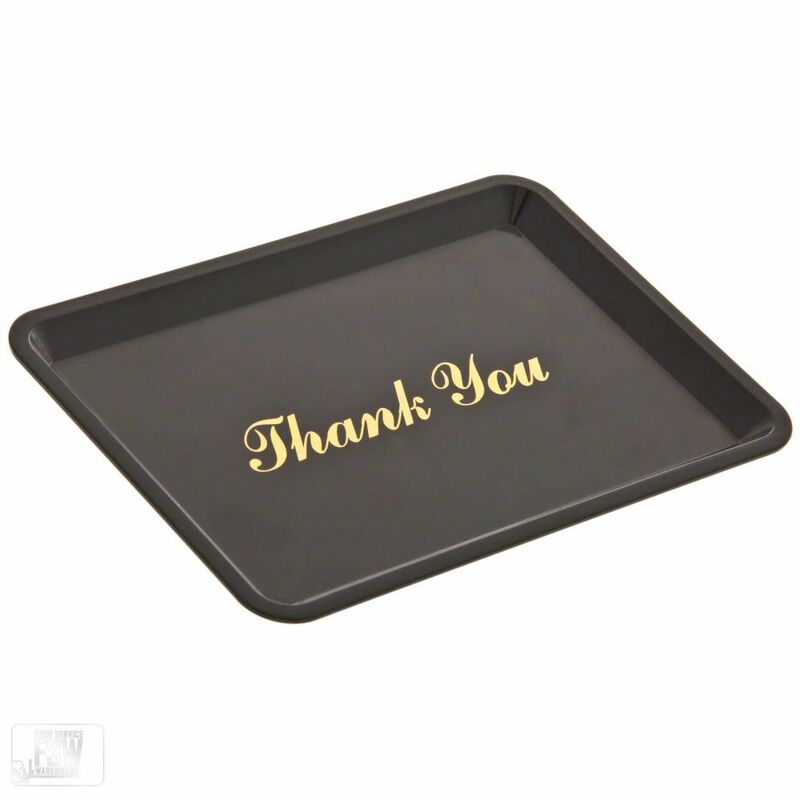 This tray makes it simple for customers at the same table to pool their money together to pay the check, and to leave their tips in one handy place. It also prevents any awkward fumbling that may occur when exchanging change during a transaction. 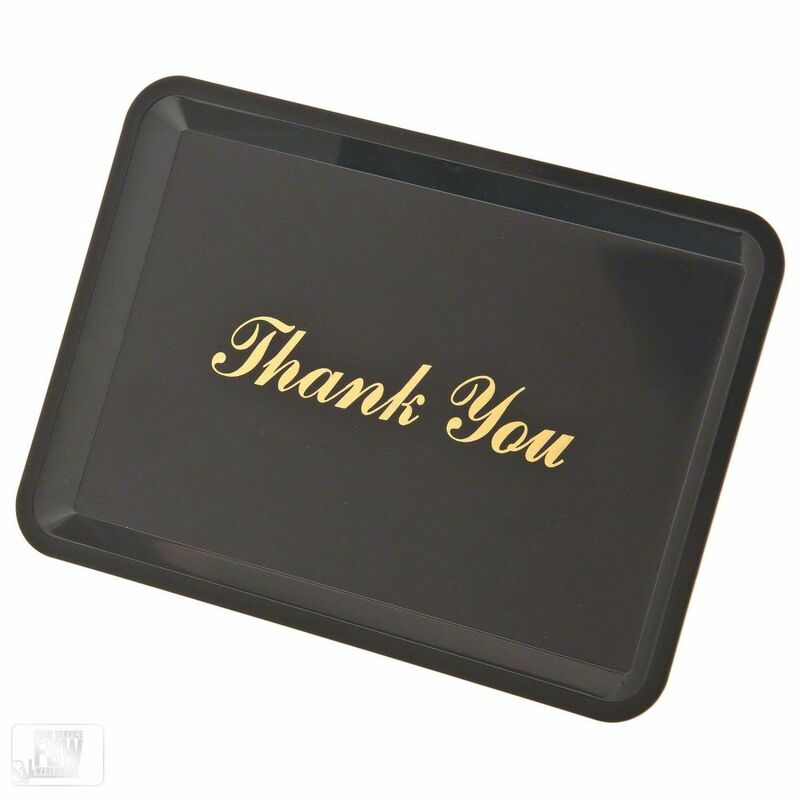 This plastic tray has the words "Thank You" imprinted in gold script to remind the customer of your appreciation.